Greetings in the Powerful Name of Jesus! I trust your New Year is off to a great start and you are enjoying the blessings of God. The Lord laid on my heart to start 2018 with an emphasis on the Anointing. I have been preaching, teaching and praying for the Anointing and it is exciting to see lives being touched and hearts encouraged. The Anointing of the Holy Spirit is vitally needed in our lives. The Anointing is the Power of God to Fulfill the Purpose of God. The Anointing is at work when the manifest presence of the Holy Spirit is present to perform God’s will. We see an example of this fact in Peter’s testimony of Jesus. Peter stated in Acts 10:38 “How God anointed Jesus of Nazareth with the Holy Spirit and with power, who went about doing good and healing all who were oppressed by the devil, for God was with Him.” The Anointing of the Spirit was on Jesus to fulfill God’s purpose through His ministry as He healed and delivered people from oppression. The Apostle John expressed Jesus’ mission statement in 1 John 3:8 — “For this purpose the Son of God was manifested, that He might destroy the works of the devil.” The purpose of Jesus was to destroy the works of Satan. As eye-witnesses, both Peter and John confirmed that the Anointing was on Jesus to fulfill His purpose in restoring broken lives. The good news is the Anointing is still fulfilling God’s purpose today, because it is still the power to destroy the works of the devil. Therefore, it is important for us to be both recipients and vessels of the Anointing. As recipients of the Anointing, the yoke of affliction and heavy burdens are lifted from our lives. As vessels of the Anointing, we become conduits of the power of God to touch the lives of others. The power of the Anointing enables us to fulfill the ministry of Jesus by going about doing good and healing those who are oppressed. If we are to receive an impartation of the Anointing, then we must look to Jesus our Messiah. John the Baptist declared in Luke 3:16, “One mightier than I is coming…He will baptize you in the Holy Spirit and fire.” Jesus is the One who baptizes us in the Anointing of the Holy Spirit. Only Jesus can pour out His Spirit on His people, because only He is qualified to do so as the Messiah. The title “Messiah” means “Anointed One.” The Hebrew word for “Messiah” is “Mashiach.” The Hebrew word for “Anointing” is “Mashach.” Notice that the Hebrew word for “Anointing” is the root word for “Messiah.” Why is Jesus the Mashiach (Messiah)? Because He has been given the Mashach (Anointing). Jesus confirmed this when He read from the scroll of the Isaiah 61 prophecy—“The Spirit of the Lord God is upon Me, because the Lord has Anointed Me.” When we look to our Messiah, we are looking to the Anointed One who baptizes His people in the Anointing. As a consequence of Israel’s rejection of God, Isaiah prophesied that the Lord would raise up the Assyrians to oppress them. Yet, God, in His mercy, revealed that the day would come when the faithful remnant would break free from the Assyrians. Isaiah declared that the yoke of oppression would be broken off of their neck by the Anointing. The English translation of this verse uses the phrase, “Anointing oil.” It is from this idea that the phrase – “the Anointing breaks the yoke” – is derived. However, Isaiah did not use the Hebrew word for Anointing, “Mashach.” He used the word, “Shamen,” which means, “fatness.” In essence, Isaiah was stating that their freedom from the yoke of oppression would come as they grew fat. The metaphor is that of a young ox who has a yoke placed around his neck. As he grows fat and healthy he expands. As the ox continues to expand he breaks out of the yoke that will no longer fit around his neck. This insight provides an understanding into how the Anointing Breaks the Yoke. 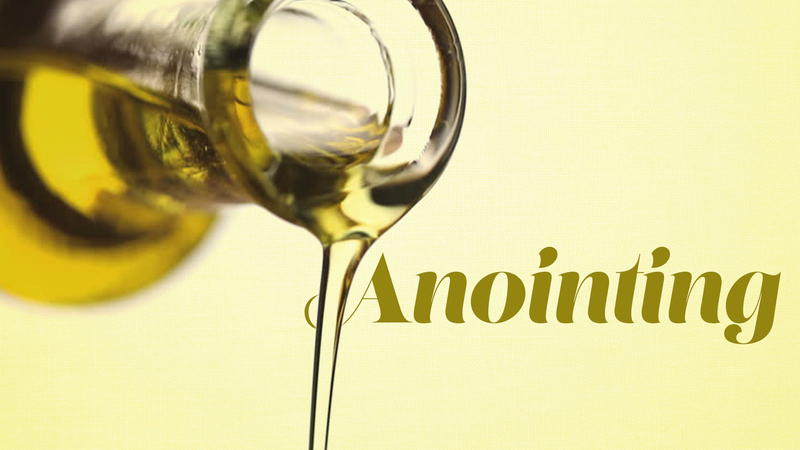 The Anointing of the Holy Spirit causes us to grow fat and to increase. As expansion comes, it causes us to break out of the yoke that once held us. I am writing to encourage you that your time has come. Now is the time for the Anointing to break your yoke. It is my prayer that the yoke that held you in 2017 is broken, as the Anointing of the Holy Spirit causes you to increase and expand in 2018. May God continue to richly bless you as you walk in His Anointing!